Nanny shares are all the rage in DC. Are they where you live? If you are unfamiliar with what a nanny share is … it’s pretty much 1 nanny and 2 babies. In our case we were lucky enough to share with our neighbors/friends who a baby girl just a few months older than Jellybean. By March we had two little cuties and two mommies who had to return to work (extreme sad face). We were lucky to find an awesome nanny on a local listserve, though we were interviewing people from Care.com as well. Over the past 6 months I have learned that just like a baby, a nanny share also requires gear. Some items were givens, such as a double stroller, however others we learned ‘on the job’ so to speak. 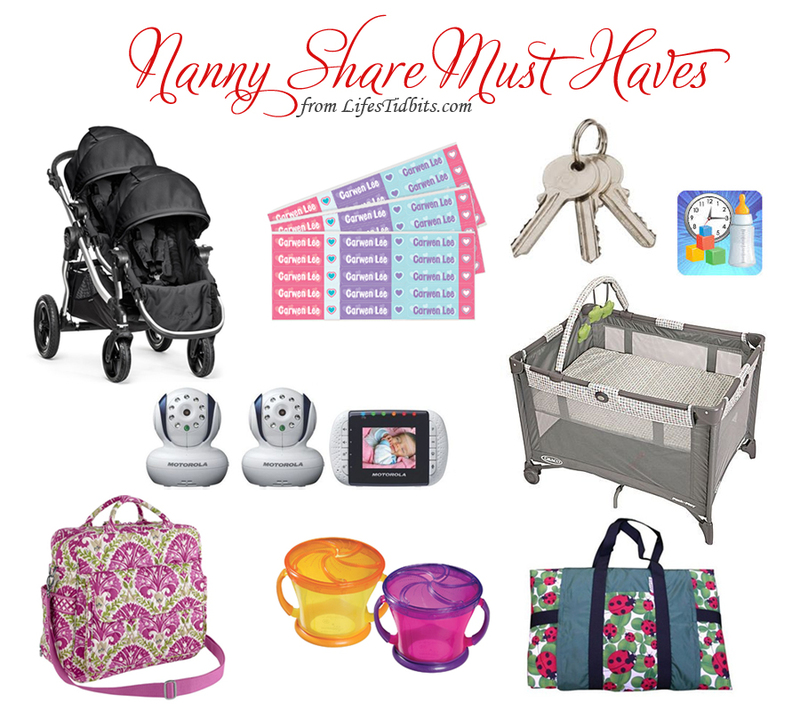 I wanted to share not only the nanny share must haves (and favorites), but also a ‘what’s in my diaper baby – nanny share’. I think my nanny share diaper bag is probably similar to that of daycare, though there might be a few differences …and well, that’s for another post. Any additional must haves for a nanny share?